There's no better way to learn about science than by reading a book that makes it relevant to your everyday life. That's why 2014's best science books show us how science and culture are interconnected, two threads in the same story, braided together in ways that can be funny, engrossing, and often deeply moving. Here are some of our favorite science books of 2014. Ouellette is a journalist best-known for her incisive and entertaining stories about physics. But here, she's turned to a new mystery: What makes us who we are? Using the latest research from neuroscience, genetics and more, she explores and experiments with her own self-perceptions (yes, there is an LSD session — for science! ), always in a humane, funny voice that makes this book feel like you're talking to your favorite smart friend. Of course you want this book, because it was written and illustrated by Munroe, the mastermind behind webcomic XKCD. Here the former roboticist tackles important topics like what would happen if everybody on Earth pointed a laser pointer at the Moon at the same time. Often, the answers are things like "Nothing," or "Don't do that or you will explode, you idiots!" The fun is in riding along with him as he finds the answers and explains them to you in his inimitable nerd snark style. In this haunting book, journalist Johnson explores what drives archaeologists, the scientists who risk their lives to hunt for the traces of ancient human communities in remote ruins and dangerous war zones. She'll take you into some of archaeology's greatest mysteries — from Inka cities in Peru to Egypt's Valley of the Kings — and introduce you to the real-life Indiana Joneses who live for knowledge and adventure. This is one of those historical science tales that seems too weird to be true. Our modern notion of surgery, complete with anaesthesia and after-care, was invented by a late nineteenth century plastic surgeon. As journalist Aptowicz unravels this engrossing story, you'll discover that plastic surgery wasn't always the domain of Hollywood stars — in fact, it was the first form of medicine devoted to helping people with injuries and birth defects lead more comfortable lives. Aristotle's work, written thousands of years ago, still influences science today. In this beautifully-written history, Leroi retraces the great philosopher's steps in ancient Greece, exploring the same places he did when he was inventing what later became the science of biology. Years before a bunch of script kiddies claiming to be North Korean hackers took down Sony, there was the Stuxnet worm. This piece of malicious code actually took down nuclear facilities in Iran, and became arguably the first true "digital weapon." Award-winning technology reporter Zetter was one of the first to break the Stuxnet story, and in this real-life thriller she tells the story of how Stuxnet was built, unleashed — and finally discovered. Surgeon Gawande is a beloved figure in science writing already, for his thoughtful, emotionally-engaging style. In this book, he tackles a topic many of us will face as the population ages. What is the most humane way to live out the ends of our lives, in a world where medicine can prolong our lifespans far past the time when we are able to make decisions for ourselves? Astrobiologist Dartnell begins The Knowledge with a thought experiment. What if a pandemic cut down most of the human population tomorrow, and you and a few brave survivors had to rebuild civilization by ransacking our abandoned cities for raw materials? It's the perfect geek survivalist manual, complete with directions on how to re-invent steel, photography, and even scientific inquiry itself. Barnosky is one of the scientists who helped discover the possible advent of a sixth mass extinction, taking place right now. In this warm and readable book, he explains how such extinctions happen and why it isn't too late for us to do something about them. This is the perfect book for people who want sane, scientific suggestions about dealing with our current environmental crises. Sociologist and technology researcher Sauter does something that seems impossible. She explains the technology underlying today's digital protests and attacks, while at the same time placing these futuristic movements in the context of a long history of civil disobedience in democratic societies. A must-read if you want to understand groups like Anonymous and Wikileaks, both technically and as political phenomena. Kenneally, a science journalist, begins this gripping book with a personal story: Nobody in her family knows who her real grandfather is. She wonders whether contemporary DNA sequencing technologies could help her find out. The result is a tale that braids cultural and scientific insight together, to explore what it means to have ancestors — and how the human past reaches into our future. Geologist Canfield has devoted his career to studying the earliest millennia of Earth, and has made crucial discoveries about what the planet was like 4 billion years ago — back when there was almost no free oxygen at all in the environment. In this book, he takes you back to a time when Earth was nothing like the planet you know today, and explains how oxygen changed everything, from the rocks and oceans, to life itself. Along the way, you'll learn about crazy things like the hyper-oxygenated period 400 million years ago, known as the Carboniferous, when 6-foot millipedes wriggled through the massive forests. You've been doing complex math all your life, and you never even realized it. Mathematician Ellenberg reveals how basic mathematical principles like regression and linearity are actually woven into the fabric of our everyday lives. He's also a terrific, funny storyteller, taking you through the history of ridiculous mathematical arguments, weird discoveries, and strange applications of math to everything from business management to war. This book is a delight to read and leaves you a lot smarter at the end. This is a hilarious look at evolution from the perspective of its most bizarre quirks. Science journalist Grunbaum explores over a hundred animals whose adaptations seem completely nonsensical — and, on a serious note, reveal the glorious diversity of species on the planet. 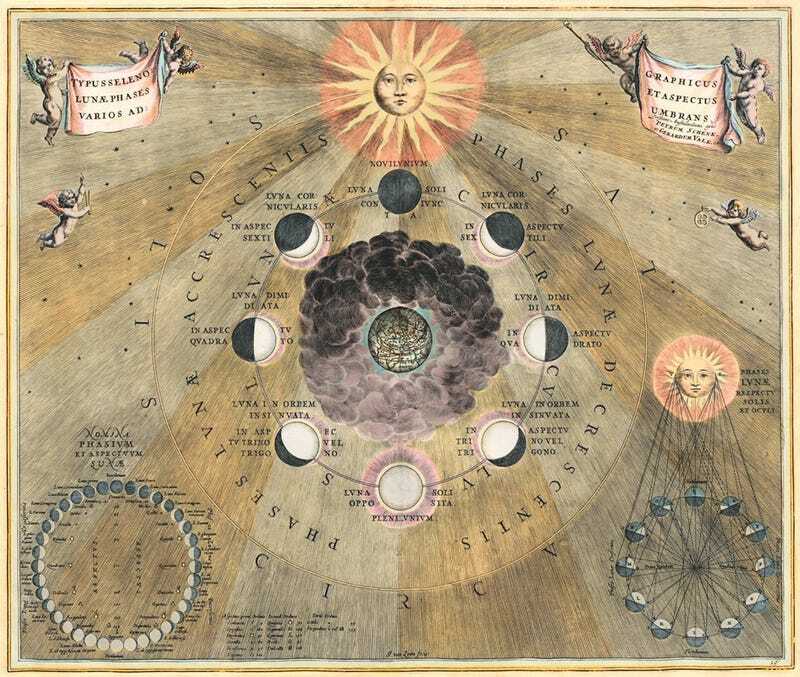 This sumptuous art book is a collection of humanity's greatest efforts to represent the cosmos, from our earliest drawings of the heavens to fantastical representations of planets and comets. Sussman's gorgeous photographs capture the natural world in stunning, spare images full of intense color. 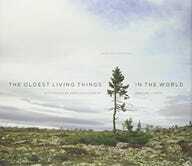 But she also tells a story here, about life forms like trees and fungus that have lived for centuries — and sometimes millennia. Contemplating the life spans of nature's most eminent elders is a fascinating way to understand deep time. This is an incredible collection of stunning photographs taken by Canadian astronaut Hadfield during his months on the International Space Station. He explains what you're seeing, offering a humbling and glorious perspective on the Blue Marble. 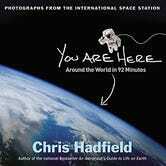 If you loved following Hadfield's tweets while he was up in space, you won't want to miss this book. Ron Miller, whose space art has graced many posts on io9, collects here the greatest works of scientific space art. Packed with gorgeous imagery, the book is also a history lesson in how we imagined our solar system, galaxy, and universe — before we could actually see them with modern telescopes.